Man, I really wish I had a more exciting title for this blog post. But I guess that’s why I’m an analyst and not one of those Mad Men types. In my defense, though, that is what this video does. There are a lot of people who misunderstand the purpose of analytics. Or they misunderstand what will happen when you start collecting analytics data on their website. Or they have magical expectations for what Google Analytics can do for them. Hate to burst your bubble, but Google Analytics is just a tool. And tools are not strategies.. This video is designed to set proper expectations of what you can get from Google Analytics. Why does the video say Lesson 3.1? This is a Complimentary Lesson from Analytics Course, We are making a few lessons from our recently completed Analytics Course freely available for all, so potential students can “try before they buy”. Basically you can watch these videos for free to see if you like learning from me. You may recognize that this strategy is also employed by drug dealers. Legality aside, these guys have a thing or two we marketers can learn from. Even economists (like those Freakanomics guys) find them intriguing enough to make a TED talk about it. This video comes from lesson 3, and is the first of three videos from this lesson which we have made available for free. So let’s set your expectations with Google Analytics. Google Analytics is awesome, so whatever we talk about here is in the spirit of making it more awesome. But I will tell you that without setting the right expectations, our results from analytics can be disappointing. First, let’s start with the best parts of Google Analytics and why I love it. But its beauty can be its downfall as well. Especially when people get too overwhelmed with its comprehensiveness (which is precisely what makes it so powerful). Heck, I have been overwhelmed by Google Analytics many times myself. But it does get easier with familiarity and practice. As you discover all that is possible, remember one thing: Google Analytics is just a tool. Tools fail if you don’t know how they work, and use them incorrectly. But a tool when used with proper strategy and know-how can be revolutionary. It revolutionizes how digital marketing is done in this age, and it does so by being a powerful tool to help you find answers. But it isn’t the answer itself. Google Analytics itself cannot bring us more leads, or make us more sales, but we use it to find answers those business questions. 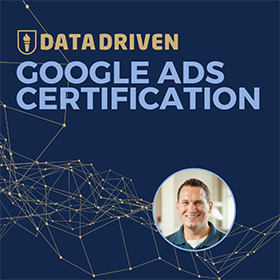 When you first start learning Google Analytics, it can seem like a firehose of information is being thrown at you. That is why it is important for us to simplify the complex. And lastly, Google Analytics is a tool which provide us with data, but we need to turn the data into knowledge. Why? Because the difference between (raw) data and knowledge is the quality of our decisions. Transforming data to knowledge is what we call storytelling. We turn our reports into narratives that we help our organizations address complex issues in language they can understand. 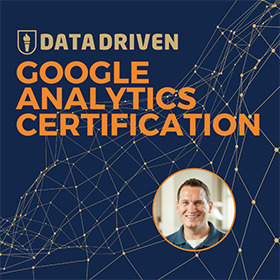 Our Analytics Course provides a framework for converting data into knowledge. Where can we use Google Analytics? Doing analytics should be part of your marketing strategy, and a crucial part of it. Why? Take NBA basketball for example. Over the past few years, the NBA has seen an influx of analytics being used to explain and even predict successful basketball teams and players. With millions of data points being collected throughout the basketball season, franchises are able to predict outcomes based on hundreds (or thousands) of inputs. This goes well beyond points, rebounds and assists. It introduces metrics like PER and other metrics that are beyond my comprehension. While analytics won’t put the ball in the hoop, it’s hard to argue against the impact analytics has had on the game of basketball. The objective of basketball is to win the game. You win the game by scoring more points than the other team in the time allotted. On their own, coaches can tell their players when to shoot, where to stand on the court, and which players give them the best chance of winning. They rely on instincts and experience to guide the team. And it works, sometimes. Sometimes it doesn’t. With the introduction of analytics, you can gain an advanced understanding of which situations increase the team’s chance of winning. It is a more systematic approach than relying on instincts and experience of the individual coach. Analytics can determine which offensive lineups help them score more points. Which players play the best defense, and how many minutes each player should be on the court. They can predict outcomes and suggest ideal match-ups. In the game of basketball, the use of analytics looks at past successes and works to recreate them over and over again in the future. Analytics doesn’t win basketball games, but it sure does improve the chances. Basketball sounds like the business world, doesn’t it? Most marketers rely on instinct and experience to guide their efforts, much like the coach in basketball. Their objective is to score more sales than the competition. They choose their lineup of marketing tactics and try to find the best options for success. Sometimes their marketing works. Sometimes it doesn’t. Analytics help marketers gain an advanced understanding of which situations cause them to win more often, and by creating a systematic approach, results become more reliable. Winning more often sounds like a great business strategy to employ, doesn’t it? Now let’s get back to the point of our video. We are setting expectations on what Google Analytics (a tool) can do for us. 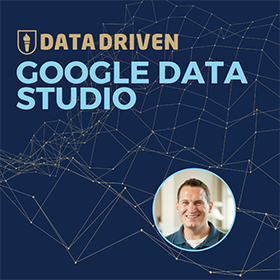 Google Analytics is not a strategy, but it does store a repository of data that we can use to inform our strategy. It tracks which players are successful (traffic sources), how many points they score (goals), and even gets into rebounds (bounce rate), assists (multi channel funnels) and any other metric you’d like to track. Marketers use this data to make better decisions. To win more often. Google provides marketers with a free tool to better understand the impact of their marketing efforts. But you need to set the strategy for your business. We talk more about these strategies in our Analytics Course. I would love to see you in class!